A writer who once lived amongst the wolves and even killed them if necessary travels to rural Alaska where he is asked by a grieving mother to hunt the wolf that killed her son. When he finds the child's body in an unexpected place, things begin to quickly spiral out of control. Director Jeremy Saulnier is known for his graphically violent-but-artful cinema. He attempts to bring that style to his latest directorial effort, Netflix's mysterious wilderness crime drama "Hold the Dark." Saulnier has also directed films like "Murder Party," "Blue Ruin," and "Green Room." 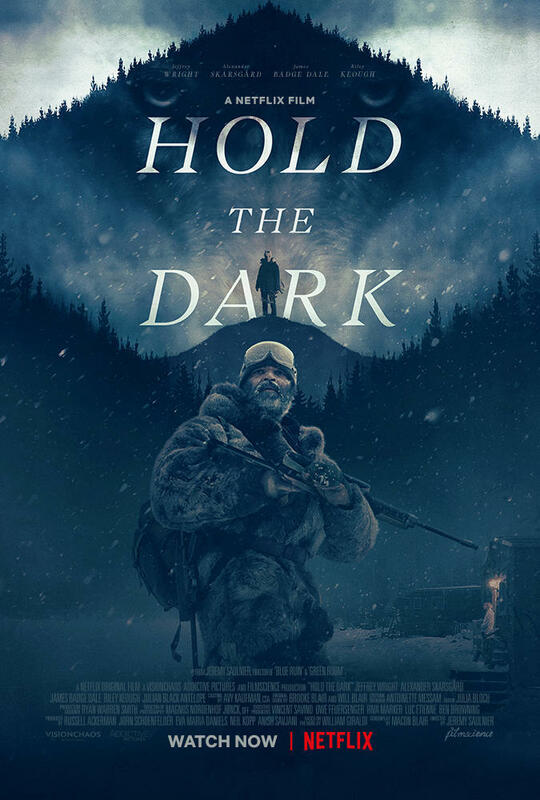 "Hold the Dark" is based on the novel by William Giraldi, and the screenplay is written by Macon Blair, an ever-present actor in all of Saulnier's movies. This story revolves around a writer named Russell Core (Jeffrey Wright), who wrote a biographical book about killing a wolf after spending a year in the wilderness. He is much older now but has recently received a letter from a woman named Medora (Riley Keough), who lives in a small rural Alaskan town and claims her child has been carried off by wolves. Medora hopes that Core will help find and kill the wolf responsible for taking her son. He travels out to her small village to try and fulfill her request, but when he does discover the child's body in an unexpected place, it sets off a chaotic chain of events that leaves numerous dead bodies in its wake. One thing to note about Jeremy Saulnier as a director is despite all his movies being graphically violent, he changes the tone and atmosphere with each of his films. "Murder Party" is a dark comedy, "Blue Ruin" is a dramatic revenge thriller, and "Green Room" is a claustrophobic survival horror. No matter what the tone, we have at least liked each of his films...until now. "Hold the Dark" is a mystery and a bit of a crime drama, and for us, it may be Saulnier's first failure as a director. Most of the time, he works with rather simplistic narratives that are pretty straightforward, never really flirting with ambiguity. Here, Saulnier isn't just teasing ambiguity, he's drowning in it. The story seems to try to weave a twisty-turny narrative that we assumed would come together in the end and reveal everything, but it never does, and it is endlessly frustrating and utterly disappointing. We can make guesses as to what this film is trying to say, but by the end of it, everything feels so pointless, and there's nothing worse than feeling like you've wasted the last two hours of your life on watching little more than a pack of wolves in a bunch of snow that's really all a metaphor for......something? Nothing? Both? The violence winds up feeling very gratuitous, and we were left scratching our heads as we tried to put the pieces together ourselves, hoping for answers that never came. There's a lot of talk about wolves, family, and painfully stereotypical Native American mysticism about spirits and evilness. Most of the time, we found ourselves drifting in and out of interest due to its unfocused nature. 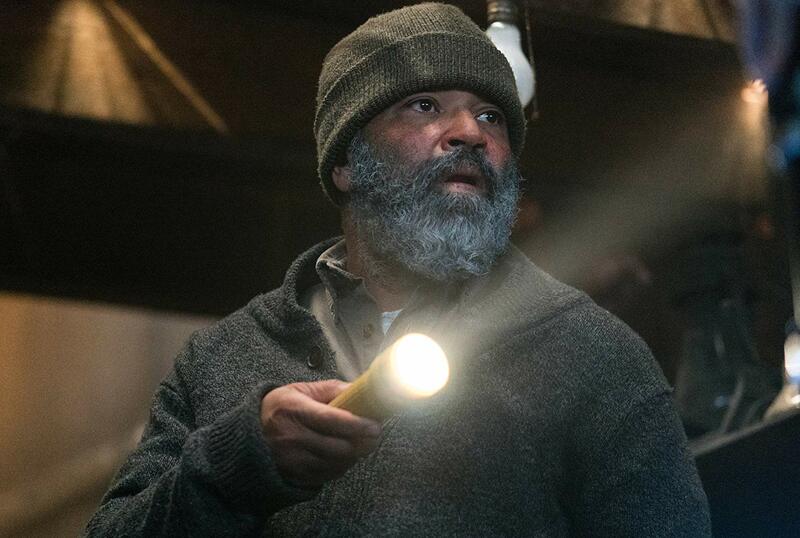 "Hold the Dark" never develops into anything cohesive. It's maddening to see such a fantastic director take an enormous dip like this. We wish we could say we dug this story, but we just didn't. It's half an hour too long on top of being extremely slow paced, which makes it feel dull. Still, we have to give Saulnier props for his great visual aesthetic. The guy sure knows how to shoot a damn movie. It has beautiful, picturesque snowy Alaskan landscapes juxtaposed with a grimy, rundown, dirty town, and it's quite a sight to behold. It has some moments of visually shocking horror violence, and these intense visuals look cool the few times when they feel necessary. Unfortunately, when it comes down to it, there just isn't enough here for us to recommend this drama.